We’re gearing up for the MLS Cup Final next week between the LA Galaxy and Houston Dynamo. We’ll be throwing a pre-party in SoSo Stadium on Saturday (more on that later) but for now we’re dedicating this week’s Mystery Player contest to MLS! 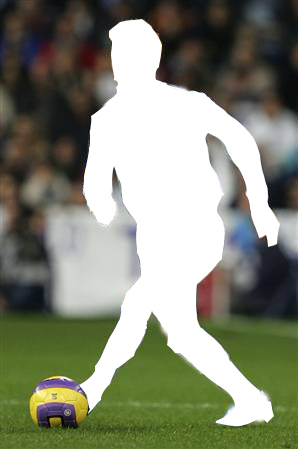 If you can guess the player, post your answer as a comment along with your GoName and automatically win some GoDough! One lucky person will be chosen at random to win a FREE month membership. Think you know who it is? Post as a comment here with your GoName so we can hook it up with some GoDough! Membership winner will be announced next weekend. Posted by fungoplay on November 15, 2011 in Contest and tagged contest, houston dynamo, la galaxy, mls cup final, mystery player, soccer. Great Jake!!! Tell us your GoName and we’ll hook you up with a free membership!